Liguria is kind of a second home for me. Every single summer, my family travelled to a resort town of the Ligurian Ponente, where I was left to my grandmother’s care while my parents shuttled back and forth from Milan. I spent my summers doing what people do, in Liguria. Eating focaccia and catching crabs among the rocks. Learning to swim early, because the seabed drops down a couple of meters from the shore. Liguria is home, so I love it and hate it at the same time. I love you can go to the beach in the morning, and for a walk in the mountains in the afternoon. I love the food and the scent of wild herbs in the air. Mostly, I hate the lack of innovation, the fact that many towns in the region still seem to live out the golden days of the villeggiatura, and nothing has changed from the 1960s. Levanto is in Liguria, but it is the exact opposite of all that. It’s vibrant, youthful, alive. It’s not all about bucket and spade, about overpriced beach resorts where you’ll be charged through the nose for a limp piece of focaccia – and served with a growl. It’s not even all about the Cinque Terre, the five jewels just around the corner. Levanto seems to have understood that, these days, people get bored, and want more than just a package beach. When I got to Levanto, I was bored to tears. 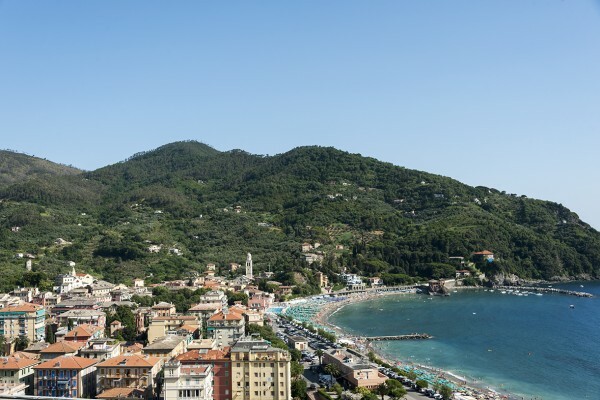 See, these days the roles have reversed – now it is me taking care of my grandmother, and when we got to Levanto, I was traveling from the Ponente town of my childhood. During the whole week with my grandma, I looked for something to do. Some canoes for hire? Pedal boats? A guided walk through the city? Nothing. But in Levanto, an adventure-lover like me is spoilt for choice. Hiking the coastal path, cycling, diving, paddle boarding, surfing, sightseeing cruises, snorkeling, every kind of -ing you can think of – ah, and you can go swimming as well. We were kind of unsure of what to do in Levanto. After a week of total boredom, we wanted something epic. Something thrilling and hair-risingly fun. Something we had never done before. Two activities, if possible. One all about the sea, and one all about the mountains. When I heard Damiano, one of the founders of Ebikein, saying ‘e-bike is just like cycling but without the hard work’, I thought that’s going to be activity number one. I love cycling, but hate going uphill. On top of that, the weather was hot and humid, temperatures touching 35. Cycling uphill under my own steam? No way. The area around Levanto is perfect to be explored on the back of an e-bike. 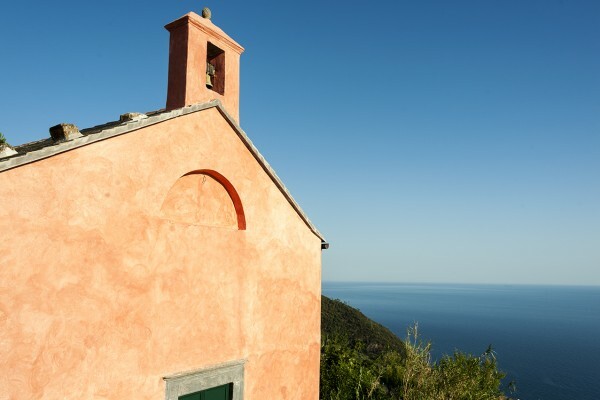 Ride east, and you’ll find yourself above Monterosso and Vernazza. Travel west, and you’ll climb the mountains above Bonassola and Framura, no less spectacular and with far fewer tourists. Following the advice of our amazing guide Giovanna, we opted to travel west. Our e-bike had four possible ‘speeds’. It’s very easy to work out; the steeper the slope (or the lazier you are) the faster ‘speed ‘ you’ll use. Soon, we were cycling over a section of the Giro d’Italia, and I wasn’t even sweaty. 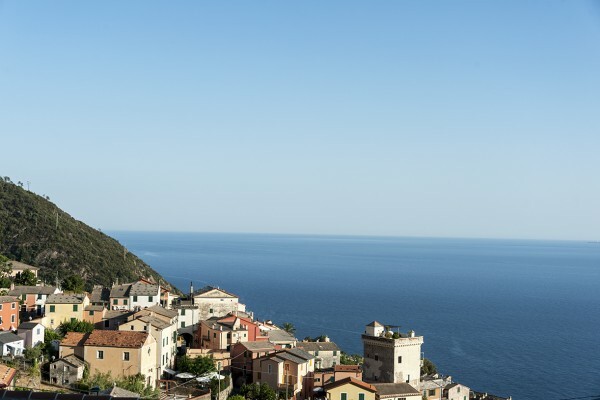 We climbed hills on the back of our trusty two-wheeler, until the air smelled of pines and maquis, the sea was just a turquoise slate far below, and the houses of Levanto looked like a toy village. Enroute, we passed the village of Montaretto, where the time stands still and people drink beers under portraits of Castro and Che at the local ‘Casa del Popolo’. I took a tumble in front of a red marble quarry, on of the last active ones in the area. We enjoyed a sunset swim at Porticciolo di Framura, and then raced like crazy on the way back, following the bike path going through the tunnels of the former Framura-Levanto railway. We were led by Pippo, a ‘beach boy’ that looked right out of Cali, tanned face and hair bleached by the sun. 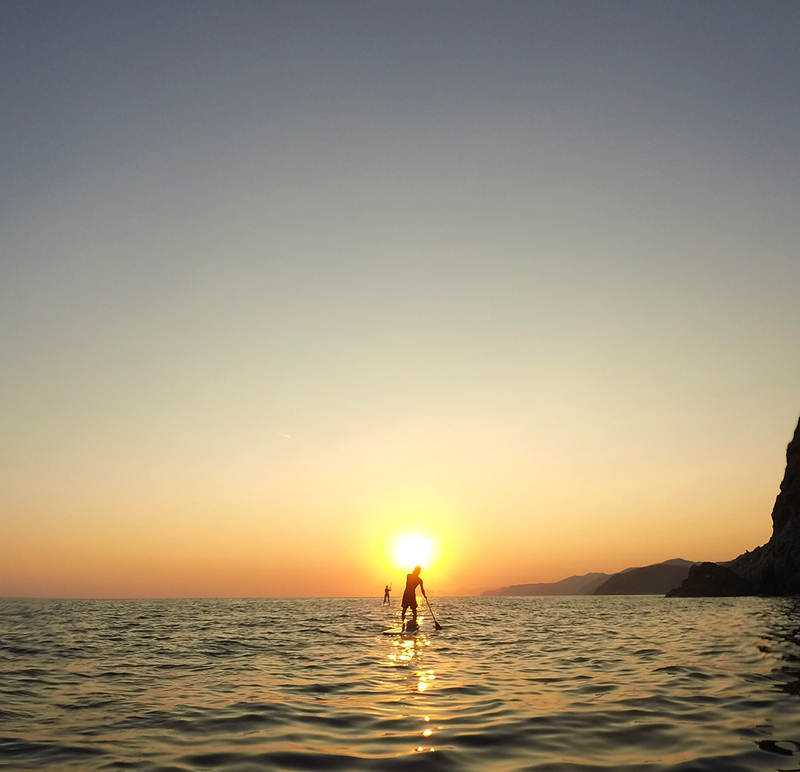 Pippo learnt to surf before he could walk, and spent his childhood exploring the coves and sea caves east of Levanto, on the way to Cinque Terre – our destination for the paddle-boarding trip. Now, let me debunk a myth. Paddle-boarding is not easy. We took so may tumbles – in fact, the whole first hour of our three hour trip was spent either in the water, wobbling while trying to stand up, or paddling sitting down – which really, is not that much fun. The caves were magnificent, with a marble-like ceiling where stalactites were slowly forming with the action of dripping water. Pippo had brought some masks and snorkels along, so we swam in and out of caves, trying to dodge nasty-looking jellyfish while tiny fish sprinted back and forth. We even visited a sea cave with a beach at the end. The sound of the splashing waves was amplified by the cave walls, sounding as is there were a sea monster lurking beneath the pebbles, guarding a treasure hidden by a Moorish pirate seven centuries before. Slowly, we learnt to stand up. Which is what paddle-boarding is all about. Standing on the board, you’ll feel like you’re walking on water – following a shining path, leading to the sun. And allow let me debunk another other myth. Paddle-boarding is hard work. After three hours our legs ached from trying to keep the balance, our arms hurt from paddling lest and right. But it was great fun, and truly a way to discover the coastal environment closely, away from the crowds. We only spent three days in Levanto, but we could have surely stayed longer. There were plenty more activities we wanted to try; diving off the Cinque Terre coast, surfing, hiking the hills in search of small restaurants serving local food, away from the hustle and bustle of the coast. Perhaps, however, it’s the little things that made our Levanto stay so special. The smile of the girls serving us focaccia for lunch. Sipping wine with friends in one of the street of the historic centre. 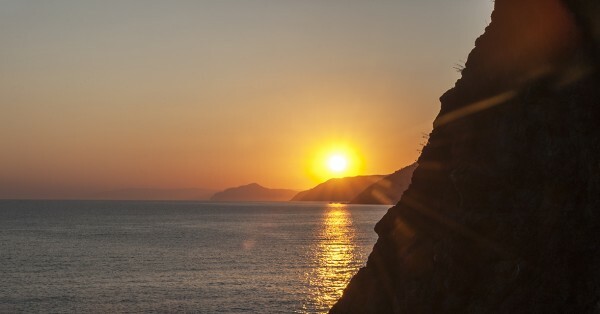 The way the colours change, as the sun slowly sets into the sea – there aren’t many places where that happens, in Liguria.